The various standards institutions in the world publish the standards specifications of underground power cables, circuit breakers, isolators and other substation equipment. Standards have been published on various types of cables. These standards provide the guideline to the manufacturers and users regarding the following: Constructional details, conditions of service, ratings, terms and definitions, vocabulary, tests to be performed, standard test procedures, methods of evaluation of the test results, guidelines for selection, erection and maintenance. The standards are generally drafted for a wider application and they generally do not cover specific cases. IEC (International Electro-Technical Commission) recommendations are generally accepted all over the world and the IS (Indian Standards) specifications are generally based on IEC. 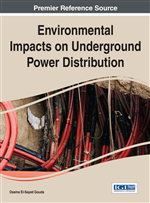 All standards apply to cables, accessories and regulations of underground power cables. Reference standards specify Waveforms of voltages to be used for various tests, Precision of measuring instruments and Parameters for analyzing test results. The most common used standard authority for electrical equipment and cables is IEC (International Electro-technical Commission). It is used as a basic of National Standards such as UK standards, IS standards and other standards over the world .Furthermore the IEC standards represent a consensus of national opinions and hence take several years both to prepare initially and for agreement to be reached on amendments. Also it will be interested to include standards from other countries, these tend to be even more numerous, e.g. in USA where in addition to national standards for materials and components there is widespread use by industry at large of cable standards issued by Underwriters Laboratories (UL) Association of Edison Illuminating Companies (AEIC), Insulated Power Cables Engineering Association (IPCEA) and National Electrical Manufacturers Association (NEMA). Testing according to standards means of evaluating quality level of each cable system component individually and in combination prior to selection and installation International Standards specifies procedures for each type. Various standards are applicable to testing of cables, and cable accessories. Test sequence specified by each standard includes initial electrical tests followed by Load cycle test (lasting several days, even weeks) followed by Electrical tests to determine electrical, mechanical properties after tests Additional tests to evaluate non-electrical properties of conductor, insulation screens, armoring and outer sheath . Most commonly are initiated by cable manufactures, carried out in their own laboratories. Sometimes they are ordered by customers to ensure that their products meet finer specification requirements. Cable manufacturers also take up tests independently as a basis for a new development or enhancements of their product range. Details about cables standards are found in Al-Khalidi & Kalam, A. (2006), Earle, C., Rusty, B., & Victor, D. A. (2011) and List of IEC standards (2015).